Tempur – Bedroom by Design, Beautiful bedroom design and decor is all about achieving a space that one is drawn to, for both its aesthetic appeal, and its form and function. Johannesburg based interior designer Susan Hughes knows exactly what it takes to achieve the ultimate in comfort and luxury. Tempur – Bedroom by Design, Designing a guest bedroom is all about designing a space that your guests will feel comfortable in, Interior Designer Taryn Hampton pays as much attention to the guest bedroom as she does to the main bedroom. Making guests feel welcome and at home. 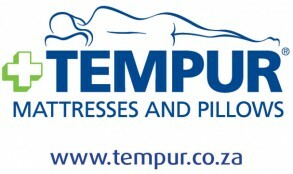 Tempur – Bedroom by Design, The bedroom is your sanctuary. In this episode, Interior Designer Vanessa De Oliveira believes that the bedroom should be the ultimate in luxury and comfort.